After introducing the new no-compromise G Master series for full-frame Alpha mirrorless cameras, Sony announced an inexpensive FE 50mm f/1.8 to add to the lineup. At $249, the new lens is much more accessibly-priced than that lofty GM series, or the Zeiss-branded FE 55mm F1.8 introduced soon after the initial launch of the full-frame cameras themselves. We’ve tested the image quality of the 24-Mpix Sony A6000 with over 23 zoom and prime lenses. Read on to find out which of those models perform best with Sony’s current top-of-the-line APS-C mirrorless model. Aimed at professional studio and landscape photographers, the full-frame 36-Mpix D800E with its modified AA filter effectively increasing resolution over the standard D800 model is the closest 35mm full-frame camera yet to rival larger formats in rendering fine detail. If you’re undecided over which of the two models to choose, we’ve analyzed the image quality of the Nikon D800E with 100 different lenses to discover how well this groundbreaking camera performs. 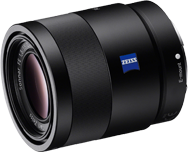 Mitakon have unveiled a new ‘ultra fast’ prime lens for Sony’s mirrorless FE lens mount. Compatible with Sony’s full-frame a7 series of mirrorless cameras, the Mitakon SpeedMaster Series FE 50mm f/0.95 promises excellent images in low light, for both stills photographers and videographers. We delve into the spec’ sheet to find out more. We’ve analyzed the image quality of the 20-Mpix Sony A5000 with over 22 zooms and primes. Read on to find out which of those models you should be using with Sony’s smallest and lightest mirrorless model.